The City of Evanston is proud to be host of 16 sites as part of the Chicago Architecture Center’s Open House Chicago event which gives the public unprecedented access to unique buildings during their annual architecture festival. Below, are some must-see sites, all perfect for exploring whether you’re visiting the area or call the North Shore home. For a full list of Open House Chicago in Evanston sites, click here. Hours: Oct. 13-14, noon to 4 p.m. 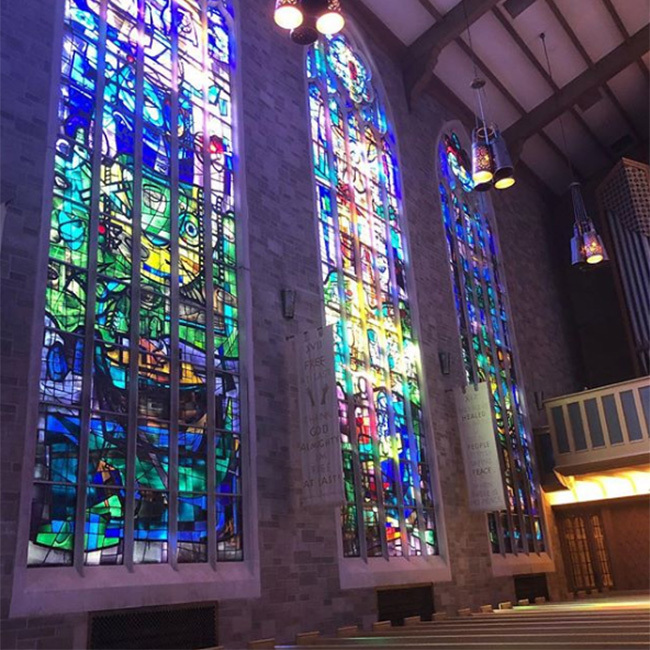 The stained glass windows of this chapel by architect Edward Gray Halstead make the Alice Millar Chapel a gorgeous retreat on Northwestern’s campus. During Open House Chicago, visitors will not only be able to take in all the breathtaking colors, but they’ll also see the Vail Chapel, a “much more traditional sanctuary” connected to the Alice Millar Chapel via colonnade. Hours: Oct. 14, 10 a.m. to 4 p.m. 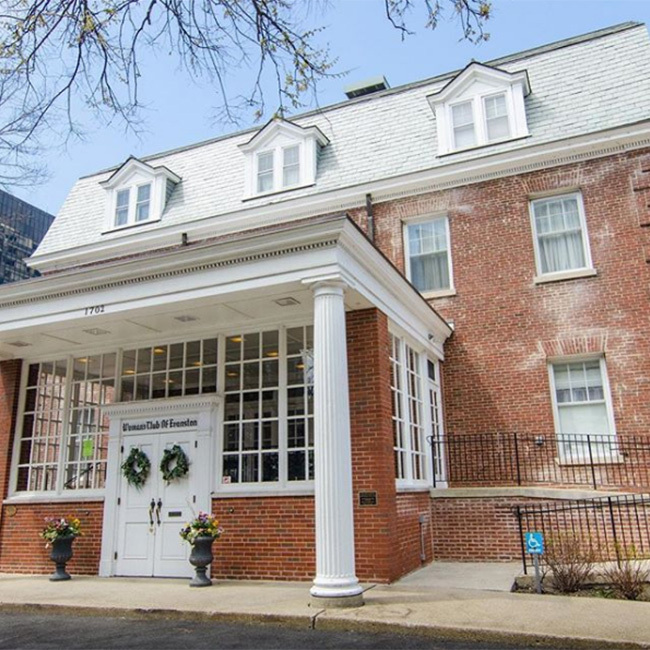 The mission of The Woman’s Club of Evanston is “connecting women behind a shared purpose of volunteerism, social empowerment and community support.” The club’s elegant clubhouse includes a ballroom, dining room, and two-story sun porch. Don’t miss your chance to tour this building that is usually closed to visitors. 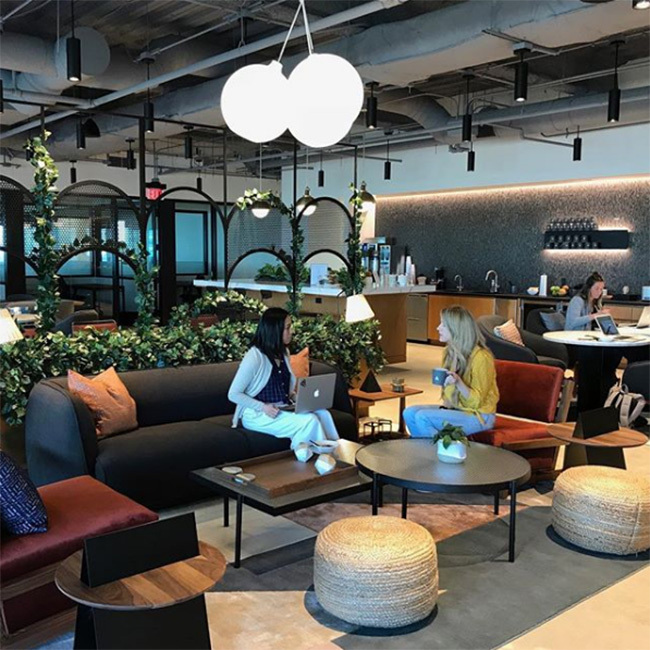 Hours: Oct. 13-14, 9 a.m. to 5 p.m.
Evanston’s newest coworking space features a coffee bar and lounge, conference rooms, relaxation rooms, unlimited free printing, parties, and more. Plus, it’s close to Northwestern, the lake, a public transportation. Whether you’re looking for office space of your own or are simply curious about Industrious, stop by for a visit during Open House Chicago. Hours: Oct. 13, 11 a.m. to 5 p.m.; Oct. 14, 11 a.m. to 4 p.m. If you didn’t know better, you might never guess that Evanston was once home to the Temperance Movement thanks to this distillery creating spirits like Single Malt Whisky, Breakfast Gin, Bourbon Whiskey , and more right here in Evanston. 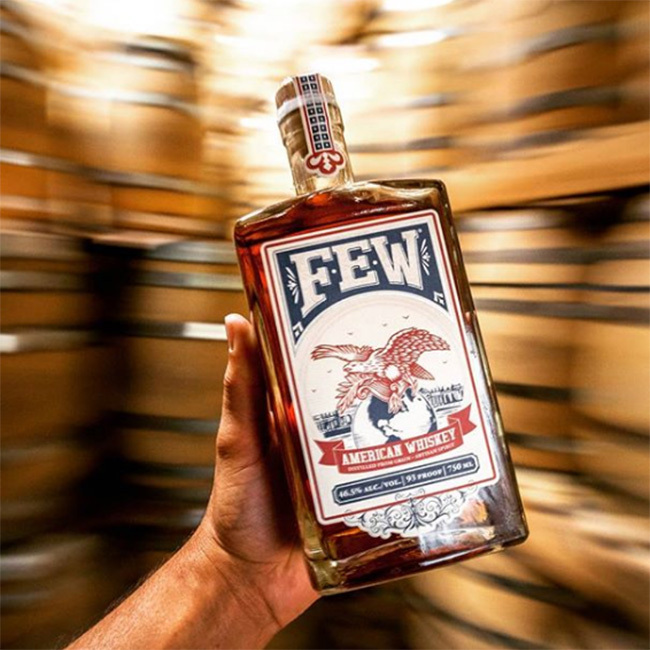 During Open House Chicago, go behind the scenes and tour FEW’s distillery (21+ only). Hours: Oct. 13-14, 10 a.m. to 4 p.m. The Evanston History Center is housed in the Charles Gates Dawes House, once home to U.S. Vice President and Nobel Peace Prize winner Charles Gates Dawes. 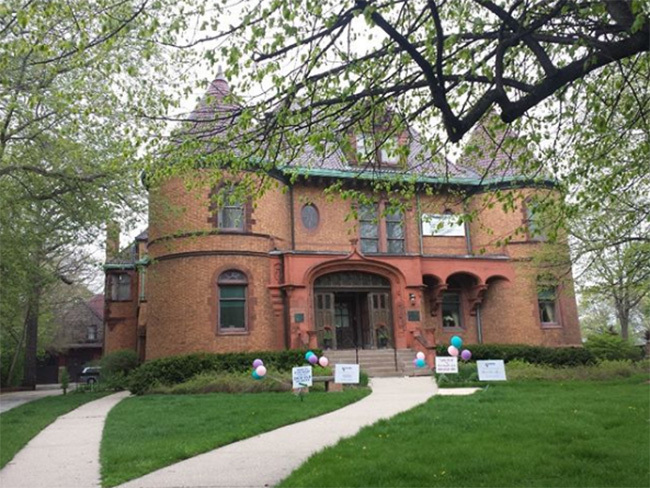 The mission of this center is “to collect, preserve and interpret the rich history of the City of Evanston and all its people through exhibits, educational programs, and research facilities.” Get to know the city (and this mansion) better during an Open House Chicago docent-led tour. 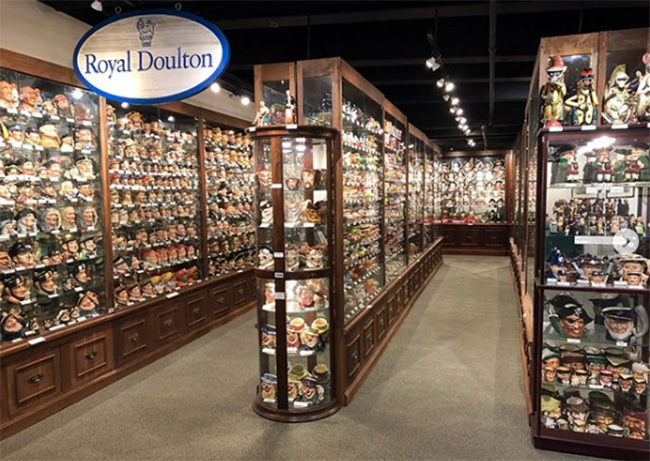 One of the North Shore’s most unique attractions, this museum houses the largest collection of Toby jugs (drinkware in the shapes of characters and historical figures) in the world. Stop by to see jugs shaped like everything from Star Trek and Disney characters to presidents. Hours: Oct. 13-14, 10 a.m. to 5 p.m. 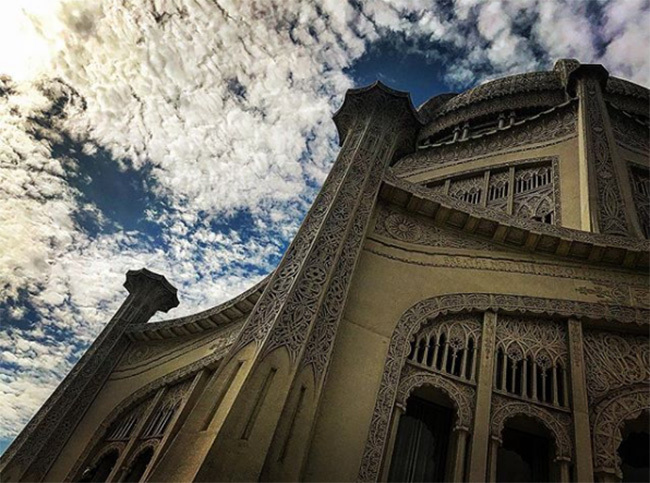 This temple is one of the best places to snap a gorgeous photo on the North Shore thanks to intricate, lace-like detail on the temple’s facade. But now, during Open House Chicago, you’ll have the opportunity to take photos inside (which is usually not permitted). Plus, visitors will walk around the beautiful grounds outside the temple, the first of its kind in the western hemisphere. This entry was posted in Attractions, Museums, and tagged Architecture, Chicago Day Trip Ideas, Chicago North Shore, Chicago's North Shore, Day Trip Ideas, Downtown Evanston, Evanston History Center, Evanston, North Shore Chicago, Open House Chicago, on September 28, 2018.